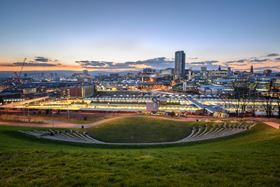 The Advanced Composites in Construction (ACIC) will take place at the University of Sheffield, UK. The program for the eighth biennial Advanced Composites in Construction (ACIC) has been announced. The conference will take place from 5-7 September 2017 at the University of Sheffield, UK. Supported by Tony Gee & Partners and Construction Composites, ACIC 2017 will focus on current topics within the construction industry and highlight the use of fiber reinforced polymer (FRP) composite materials in new and existing all-FRP structures as well as strengthening, refurbishment and reinforcement applications in traditional infrastructure. This conference is relevant to practicing engineers, asset managers, researchers and representatives of regulatory bodies. The program includes technical presentations covering the latest research and developments on materials and products, applications, design protocol, case studies and statistical analysis. The full program can be viewed here. This story is reprinted from material from ACIC, with editorial changes made by Materials Today. The views expressed in this article do not necessarily represent those of Elsevier.